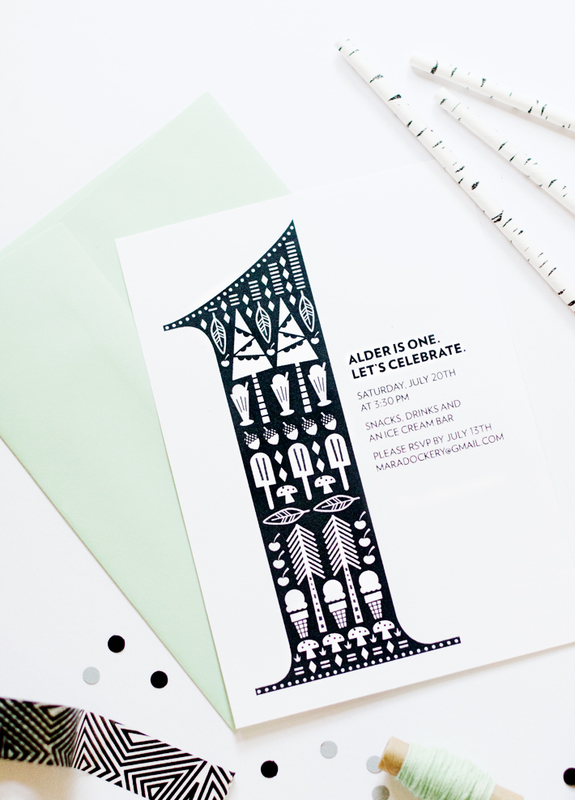 This is a quick note to say that I'm excited to have Alder's Ice Cream Social First Birthday party featured on the 100 Layer Cakelet blog. See their feature on my mood board and their feature on the full party. I've been a fan of Kristina Meltzer and 100 Layer Cake for awhile now. I love their new turn into blogging about family life and kid parties. 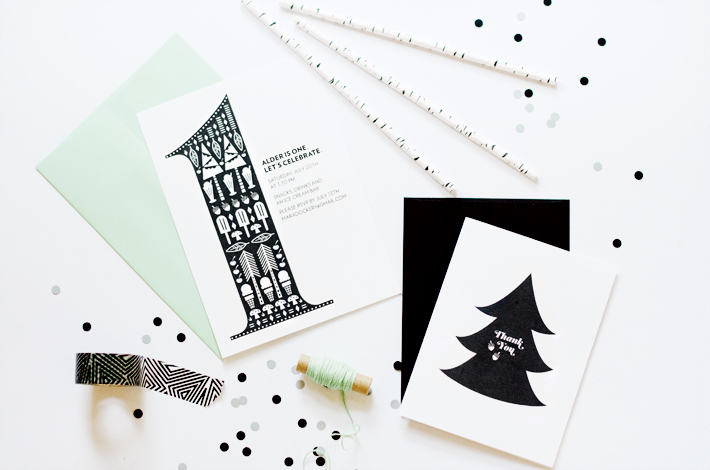 They feature some of the cutest, well-designed parties around. This French-themed party and this breakfast birthday party are pretty fantastic. First birthday and year of life. First time trying cake. First time eating ice cream. 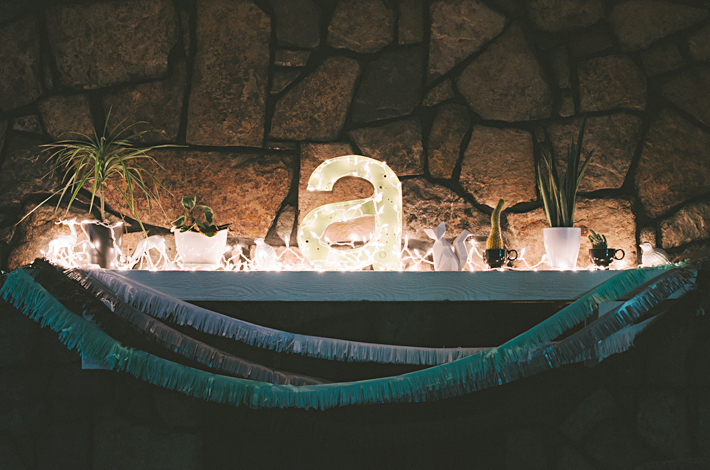 This party was quite a milestone maker that was both sentimental and sweet. We gathered a few of our close friends and family and celebrated my son's first year of life with lots of ice cream and love. We wanted to do something that would be engaging and fun for the grown ups because sometimes first birthday parties are more awkward than enjoyable. 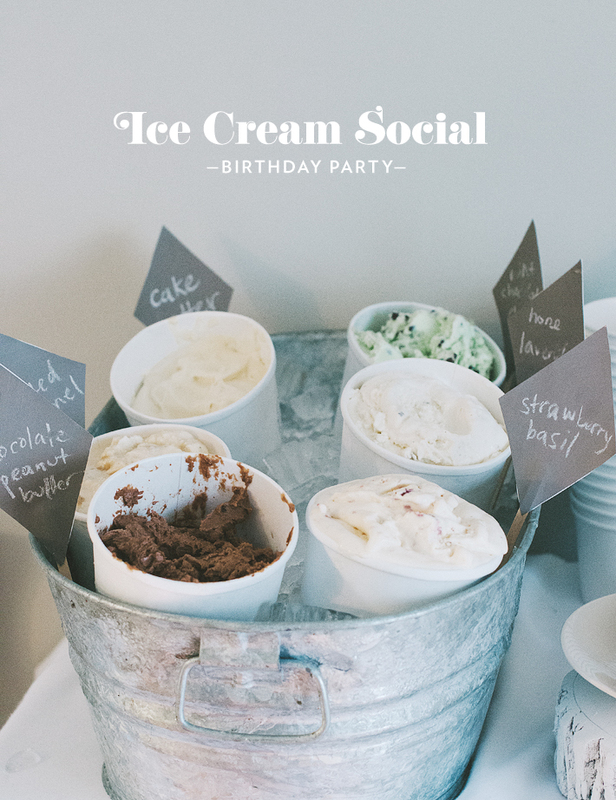 Since it was the middle of summer, and we are big ice cream lovers, we went with a homemade ice cream social theme. Luckily, some of our friends and family jumped at the chance to make ice cream, so we ended up only making one flavor. Everyone else supplied the rest! The flavors were: cake batter, honey lavender, chocolate peanut butter, fresh mint chocolate chunk, salted caramel and strawberry basil. All the flavors were delicious and most were quickly devoured. There were toppings and waffle cones to make sundaes and soda to make floats. 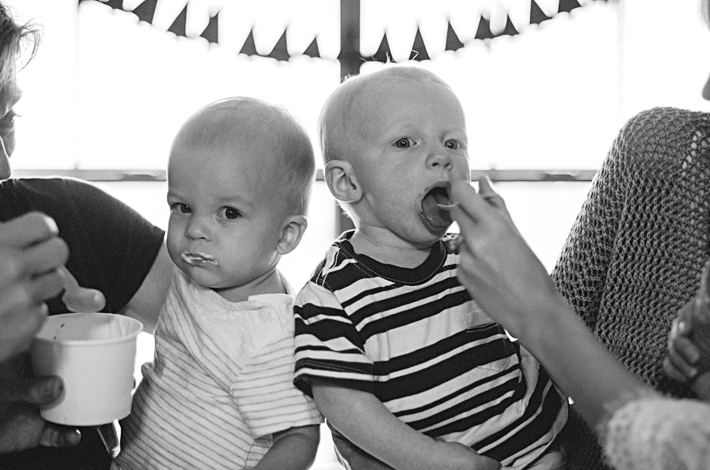 Even Alder and a few of his older baby buddies tried, and loved, the ice cream. Disclaimer: don't judge us too harshly, we only gave them a few bites of ice cream. It was all in good fun. Although it was an ice cream party, I wanted to still do the traditional cake as well. I threw together a quick cinnamon apple cake and covered it in white sprinkles. It was not the most professional, but he didn't seem to mind. We couldn't stop laughing as he repeatedly planted his face directly down in it. I went a little overboard with the decorations. 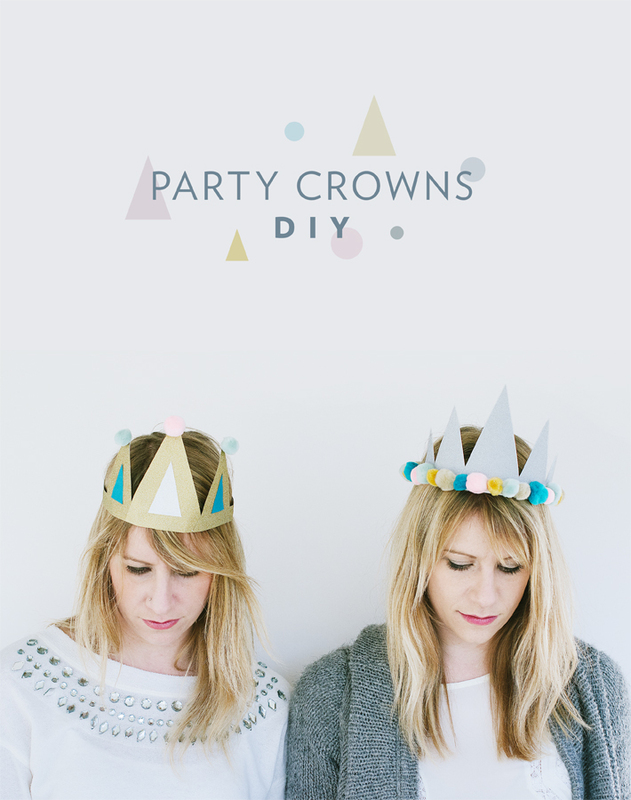 However, I love every opportunity I can get my hands on to come up with creative party ideas. There were three different types of homemade garlands, chalkboard ice cream menu markers and a folksy, woodland, hand-painted tablecloth. 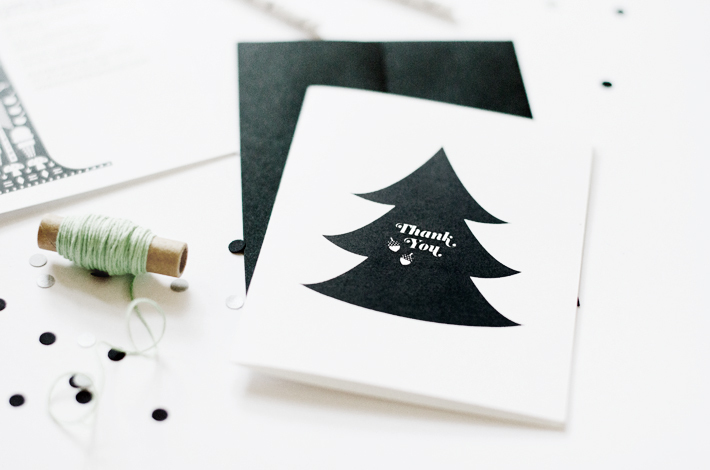 A special thanks to my friends Kesha, Jenn and Michelle for pitching in and helping me craft at the last minute. Many of the decorations could not have been finished without their help as my ideas were greater than the time I had allotted. Love you ladies! We had a few people remark to us afterwards that they were surprised they had fun at a first birthday party, so I'd consider this party a success, indeed. 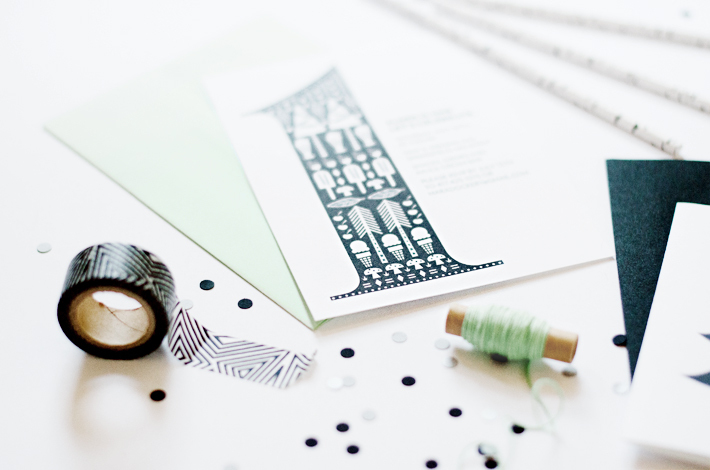 In case you missed it, here are my posts about the mood board and invitations. I deem this mood board: sugar, Scandinavian spice, and all things nice. Clever, aren't I? Anyhow, I put this board together for my son's first birthday party. We decided to do something a little different than the typical summer barbeque and opted for an ice cream party. Maybe not the most baby friendly? However, I have quickly learned babies are happy with the simplest things, so we planned the party more for the adults than the kids. Since Alder is named after a type of tree, I decided to work some a bit of a woodland theme into the party, but wanted to keep things more in line with the simple, Scandinavian look I gravitate towards. I think the clean lines play well with the cool tones of ice cream. 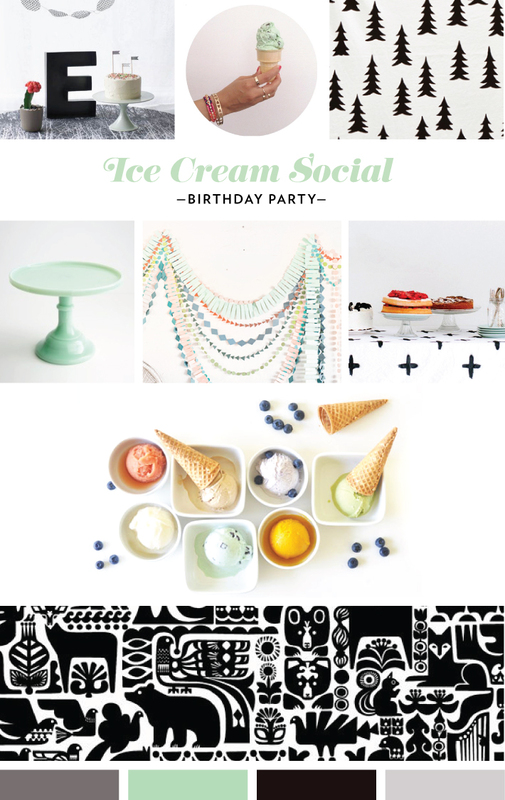 The look is modern and graphic, yet is also somewhat reminiscent of a retro ice cream parlor. 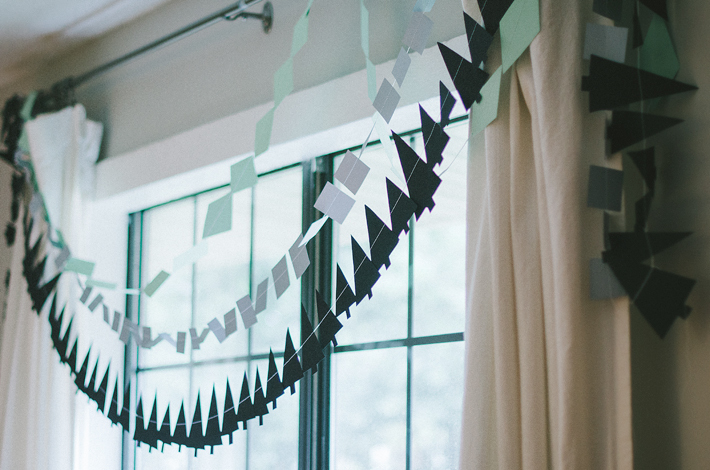 I'm excited to share the photos and details of the party, as well as some DIY posts about it, over the next few weeks. I may have gone a wee bit overboard, as usual.